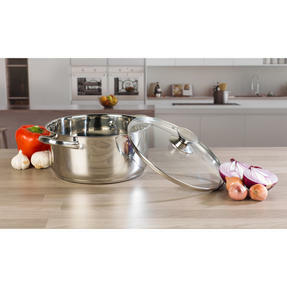 This Russell Hobbs classic pan set with casserole dish is the ideal way to revolutionise your cookware. 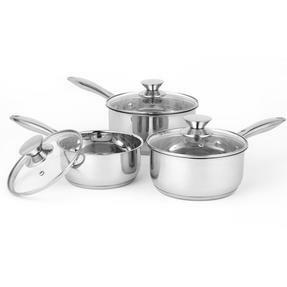 Made from high quality stainless steel with mirror finish, the set includes three saucepans and a 24cm casserole pan. 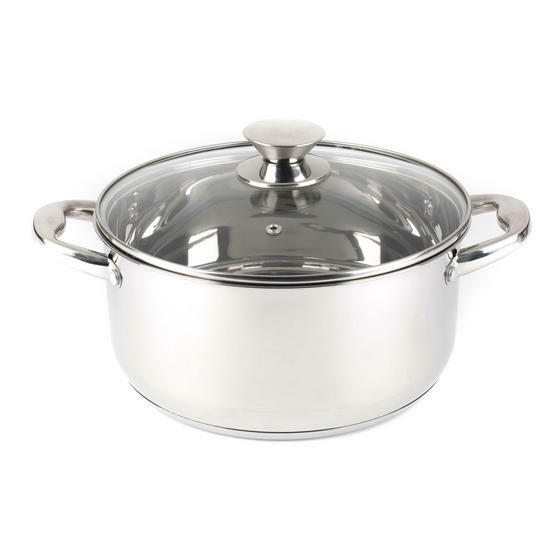 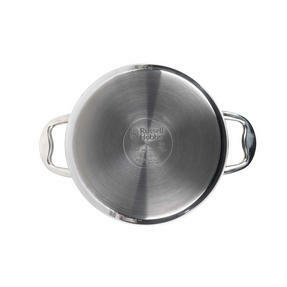 The saucepans measure 16, 18 and 20 cm, each includes a matching glass lid with steam vent. Lightweight, this set is easy to manoeuvre around the kitchen and is suitable for dishwasher cleaning. 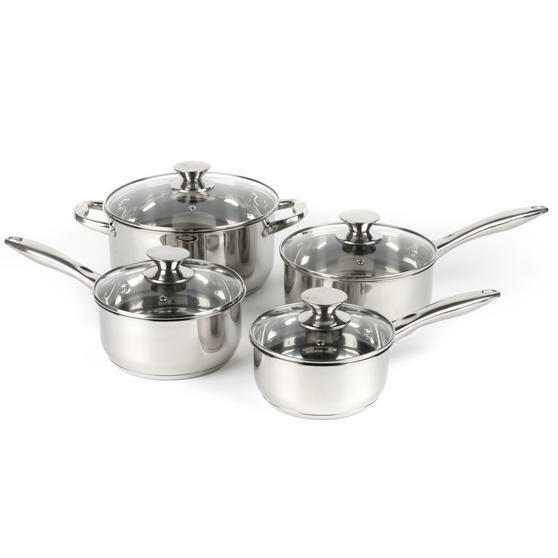 Designed to keep a long-lasting shine, this set is sure to compliment any kitchen. 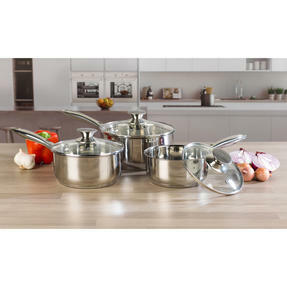 Bring efficiency and sophistication to your kitchen with this four piece Russell Hobbs Classic Collection pan set with casserole pan. Crafted with stainless steel bodies, handles and knobs, this set is lightweight and the items are easy to manoeuvre around the kitchen. 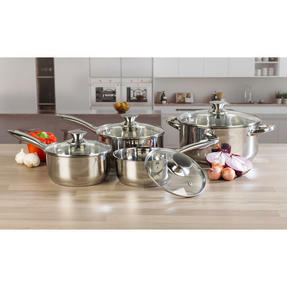 All of the pans in this set are suitable for cooking on gas, electric, solid hot plates halogen, radiant ring and induction hobs. The saucepans measure 16, 18 and 20 cm and the casserole measures 24 cm, each includes its own matching glass lid with steam vent. Durable and long-lasting with a mirror finish, each pan is suitable for dishwasher cleaning, making washing up a breeze.